It's a microphone that I use for shooting his battery: Hi-Hat, snare, toms, overheads. I'm also making his kick drum with it, but it is recommended that the microphone is not made for that and the pressure on it may damage it. I also use it to catch surround sound indoors or outdoors. A sound engineer of my acquaintance also uses the microphone to the sound of the saxophone. "MK-012 condenser microphone is a compact, high quality, with interchangeable capsules which offer a choice of cardioid, hypercardioid or omni-directional." I use it for over 2 years. 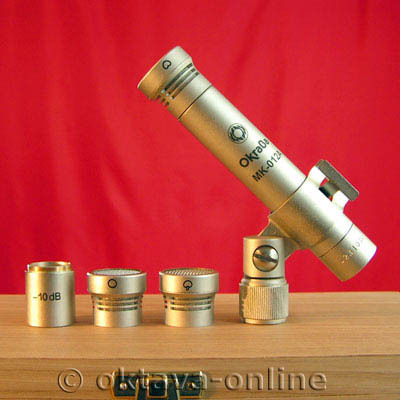 I discovered when taking its battery, it was used on the Hi-Hat and rendering was impressive in terms of the price: I bought 2 Oktava MK-012 paired for 540 €. I have not much experience of the sound, but in this price range, I did not find any equivalent. 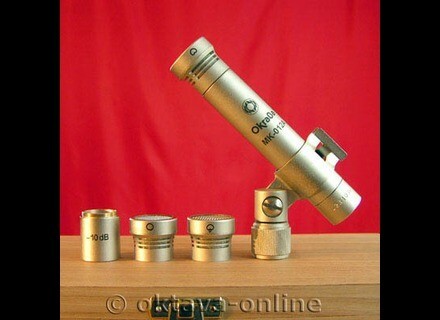 Previously, I used Shure mics, drum mics, 1st prize. What I love about these pickups: versatility, great value for money. They do not provide a record of very high quality but render a warmth and grainy. We may not like. I do it again this election without blinking, I do not think they have lost as 2 years.